After being present in the Czech Republic, Romania and Greece, the initiative arrived to Portugal at the end of September. The goal was clear – to help Portuguese families in reducing their electricity bills. Portugal is one of the countries where more energy per inhabitant is consumed. In that regard, INESC TEC joined this cause through the European FEEdBACk project, in which it is leader and whose goals is precisely to develop, to integrate and to test new technologies related to the energy area and to apply them in order to promote the energy efficiency through a behavioural change of the users. The roadshow started in Lisbon through means of an interactive truck, which simulated a home set up in Gare do Oriente, between 27 September and 1 October. 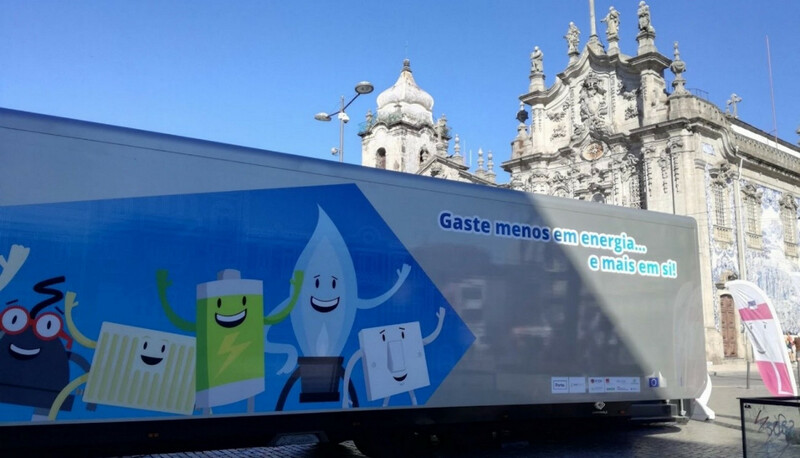 In addition of attending the official launch of the initiative, several INESC TEC’s researchers were present at the truck located at Praça Gomes Teixeira in Porto between 4 and 8 October, in order to explain the goals of the FEEdBACk project and to try to raise awareness of the inhabitants from Porto for an improvement in their energy consumption. Hundreds of people saw the energy efficiency truck and had the opportunity to learn more about the theme.